When you look at the dashboard in your car, what do you see? Real-time information about the performance of the car, right? 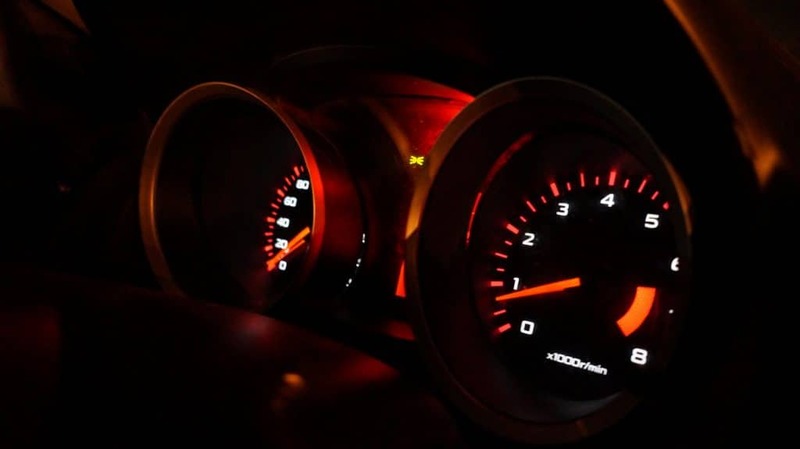 If you are experiencing a problem, you might be alerted with a warning light such as the mysterious check engine light. With more modern cars, you can get insights into driving behavior. Average miles per gallon, trip distance, miles to an empty tank. In some more advanced cars, this data and more are recorded and stored for analysis and problem-solving. Finally, in addition to output, input controls can be found on the dashboard that will affect the behavior of the car (sport mode versus economy mode as one example). An Internet of Things (IoT) Dashboard provides the exact same capability as the car dashboard I described. However, the mechanics are different. 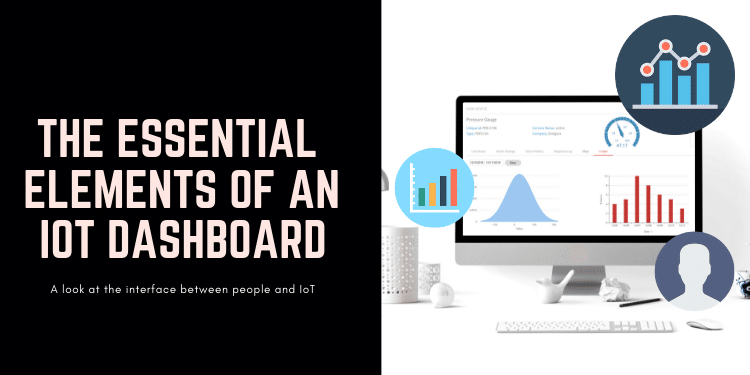 An IoT dashboard is generally enabled by a web-based software application or mobile app versus an LED console or mechanical dials that you find in a car. Additionally, an IoT Dashboard is, by definition, connected to the equipment it is monitoring through an internet connection. A car dashboard is hardwired and integrated with the equipment it is monitoring (i.e., the car). Most cars have integrated dashboards as do most healthcare equipment and industrial equipment. However, with an integrated dashboard, you won’t see the check engine light or know how fast it is traveling unless you are in the driver’s seat. Same applies with integrated equipment dashboards. You have to stand next to the equipment to see how it is performing. Integrated dashboards are further limited by their inability to store and retrieve historical performance data in a usable format (try it sometime with your car). The implication of limiting dashboard access to people near the equipment is that you have to co-locate operators or specialists with equipment to spot problems and react to them as they arise. Co-location is not always practical. Think about medical equipment installed in a patient’s home. Or industrial pumps installed in a remote oil field. With the Internet of Things Dashboard technology, equipment installed in remote locations, away from specialized operators, can be monitored as effectively as if the operators were standing in the same location. And because of the power and data management capacity of IoT Dashboards, there is an unlimited potential for analytics and insights for problem-solving that approaches the ability to forecast problems versus waiting for them to happen. Companies that embrace the capability to remotely monitor equipment with IoT Dashboards will become more efficient with their resources and provide more value to their customers. Companies that are slow to adopt, will be at a disadvantage. Where to start? There are many ways to develop or procure an IoT Dashboard capability including developing your own using software frameworks like Java, NodeJS, and Angular, databases like MySQL and MongoDB, and cloud infrastructure like AWS or Azure. Or you can leverage a customizable platform like our Bridgera Monitoring Platform which eliminates the need to hire developers or you can deploy a commercial off-the-shelf solution like Tableau. Each solution comes with its pros and cons. If you need assistance deciding which direction you should take or simply want to learn more about Bridgera’s capabilities, let’s talk. If you are still wanting to explore further on your own, read our blog on The essential elements of an IoT Dashboard and learn more about the pros and cons of the alternative solutions to help with your decision process. 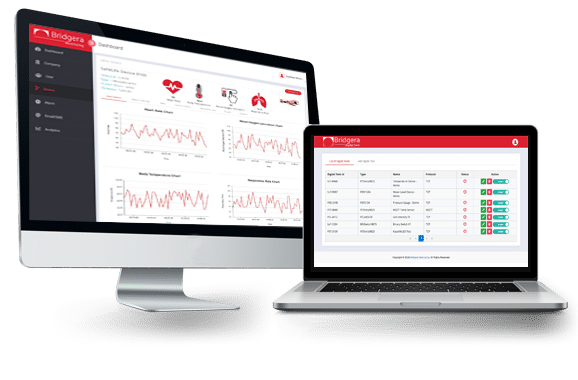 Bridgera Monitoring is an IoT Dashboard platform that is offered as a turn-key application to enterprises. While many companies find that the platform capabilities address the majority of their requirements, when there are gaps, the Bridgera development team is prepared to close them so you don’t have to. Let’s talk.